It’s late fall here at Northern Homestead. We already had some snow, and temperatures dropped as low as -9C (15.8F). Still, our delphinium next to our back door is blooming (see picture below). This really made me think about the importance of microclimates in a northern garden. 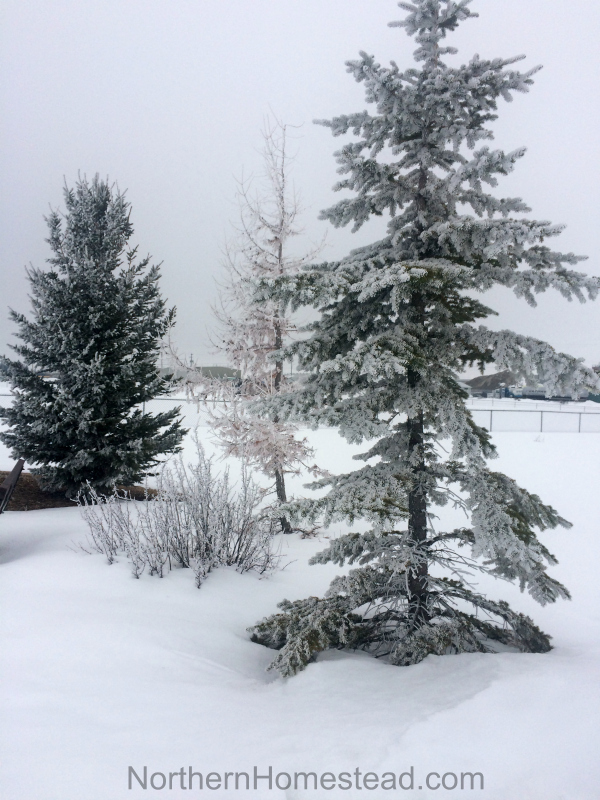 If you garden in cold climate, a microclimate can make all the difference between no frost or frost damage, and ripe or green tomatoes in your garden. 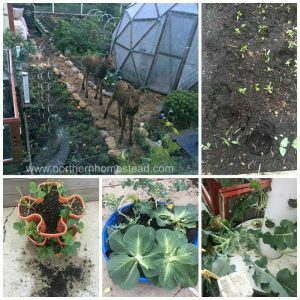 A few degrees colder or warmer can have a huge impact on what we can grow and how well the garden does. 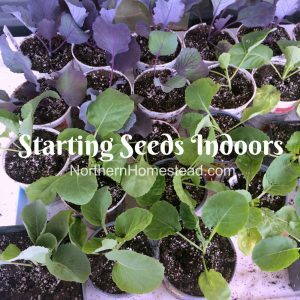 So let’s take a closer look into microclimates in a northern garden! The most obvious and most noticeable microclimates are in the hill country. The slope to the sun is always warmer than the shaded side. In early spring roads in our area that are going east-west will have an already snow free side and a snow-covered roadside. What is obvious on a steep hill is just as true on a slight slope in your garden, even if it is not as visible. A slope against the sun will always be cooler. Our community garden has a northern (against the sun) slope. 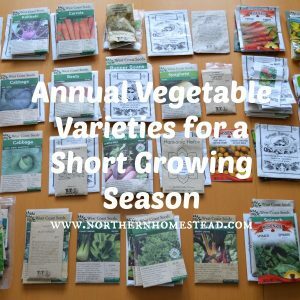 We can still grow all kinds of winter and root vegetables there. However, fellow gardeners who try to grow tomatoes are not able to get ripe ones. If you have a steeper hill, make sure to place your garden halfway up the sunny side of the hill. Frost falls and flows like a river, especially if you are in an old river bed with no water, you need to avoid those lower points. Also, the hilltop will get a lot more cold wind. The sunny hillside is your best place to garden. At the end of winter is a great time to take a walk around your property. Where there is no snow (blown away) you know it is a windy spot. Where snow accumulates, it could be a low spot. Even though we are in a small town, we still are usually a few degrees warmer than the surrounding fields. Since we grow a community garden out of town and a home garden in town, we notice this very much. In our case we just adjust the plant varieties we grow where. Root vegetables and winter crops do well in the open fields, in fact actually much better than in our urban garden. Heat-loving plants, however, are better in the sheltered urban garden. This brings us to the next point. Even if you are out of town, you can create a microclimate for yourself. Windbreaks can make a huge difference in what your garden climate might be. In the past folks always planted wind barrier trees. 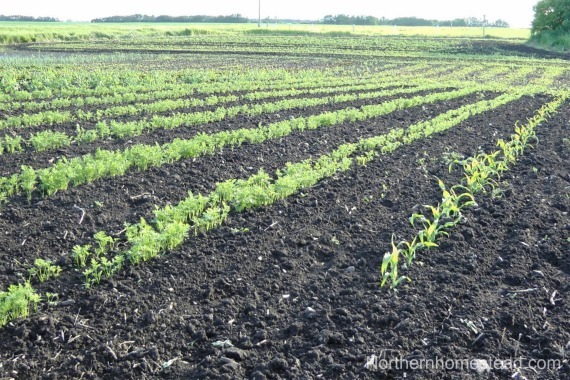 Those are very effective for acreage or a farm side, but a poor choice for gardeners. So many great gardens have been ruined by the wind barrier trees. Especially shallow-rooted trees like birch, poplar, and several types of maple will ruin your garden rather quickly. That is one of the reasons why so many old gardens that once fed a family are not growing anything well any longer. 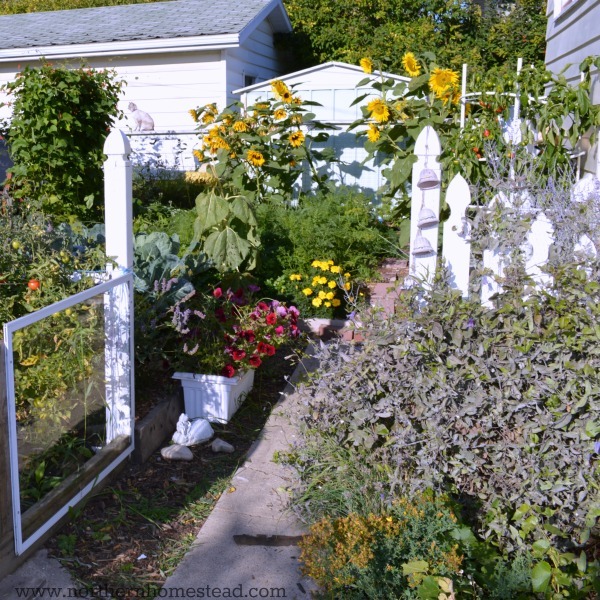 There are better choices for a garden windbreak. You get 10 times the wind protection from your windbreak, so a 4-foot high hedge will protect 40 feet of gardening space. Grow hedgerows with edible berries and pretty flowers that host beneficial insects and birds in your garden to get even more benefit from them. Other choices for a windbreak for a garden: a building, a fence, a stone wall, a glass wall … Note that we are talking about a cold climate here, where we are seeking out the hot spots. I still remember a very frustrated coworker who tried to grow tomatoes in an open field and was not able to harvest any ripe ones. She also had a south facing deck at her country home. Following the advice that her deck would be too hot, she did not plant anything there. Sadly, she could have had the best tomatoes in the area, if she only observed the microclimate she already had. Things in a cold climate are different. 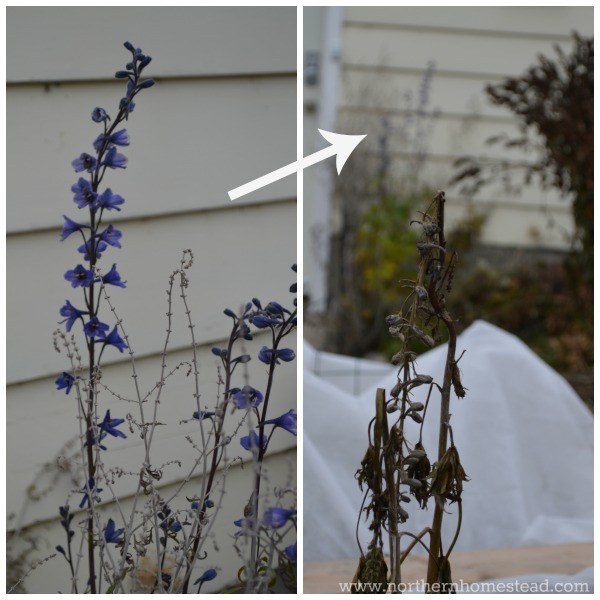 The picture is showing two delphinium plants about 20 feet apart, one is blooming even after some real frost, and the other one is completely frozen and gone. That’s how much difference a south facing wall makes. For our tower gardens that we place at a south-facing wall, we also built a glass wind barrier (you can see some of it on the left side of the picture). We want the heat to be trapped there. 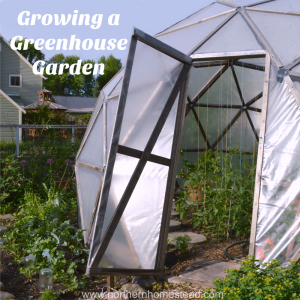 This way we grow peppers, eggplants, and cucumbers successfully without a greenhouse. By the way, eggplants and peppers are very challenging to grow in a greenhouse because they attract bugs so much. A sheltered outdoor location is much better. His book Sepp Holzer’s Permaculture: A Practical Guide to Small-Scale, Integrative Farming and Gardening is worth reading. Observe your land especially in early spring: where does the snow melt first, where does the grass green first, where do late frost and early frost fall… Where the snow is blown away, you know it is a windy spot. Where snow accumulates, it could be a low spot. Also, bare spots close to trees are cold spots with often poor soil, because soil life cannot develop as good as under a snow cover. Make a shade survey in your garden. 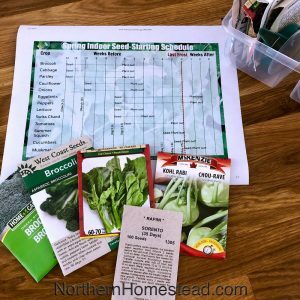 In April the day length is the same as in September, take notes to know your garden. 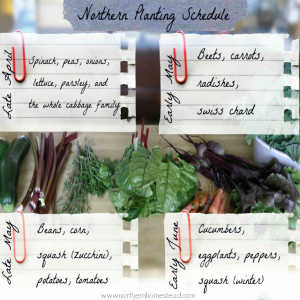 In a northern garden, you want to catch all the sun you can for your vegetable garden. Some fruit trees like apricots are a great choice for a winter shady spot where also the snow accumulates. They will be better protected and not bloom too early. Build wind barriers to increase heat storage even more. 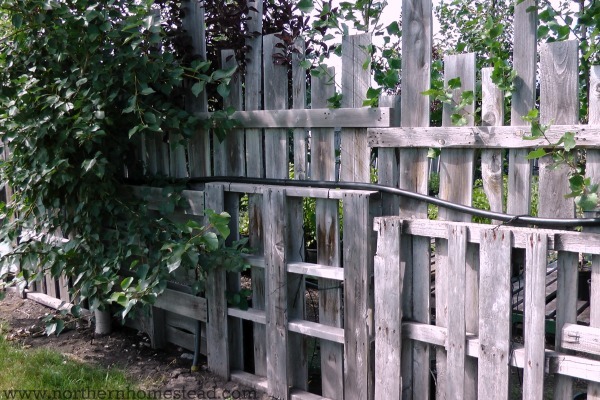 A simple pallet fence or old window frames can do wonders. See also the raised window protected garden bed. If you have steep slopes or a mountainside, you might want to get more aggressive and build terraces and water ponds to be able to grow more. Last but not least, keep trying. Know a lot is possible with microclimates. If you always dreamed to have that sun ripe tomato in July, know it can be done. There is much more to this subject. Please share your knowledge and experience in a comment below, so we all learn more and can grow more. This is such a great read! I was just discussing with someone the difference in our apple trees out back (which is drastically colder) versus our apple trees planted around the house! Thank you so much for sharing! I still would like to try to grow pitches close to the house, wouldn’t that be cool! Thank you for your kind words. To answer your question, we do not rotate the towers. We simply don’t plant the back side. To have 3 towers in the spot was a bit crowded, but all 3 still produced well. 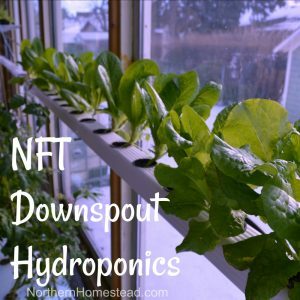 But you can plant the whole tower and rotate the Tower Garden by sliding the reservoir lid a quarter turn in the same direction each day or whenever possible. The Tower Garden Dolly is very helpful for that. 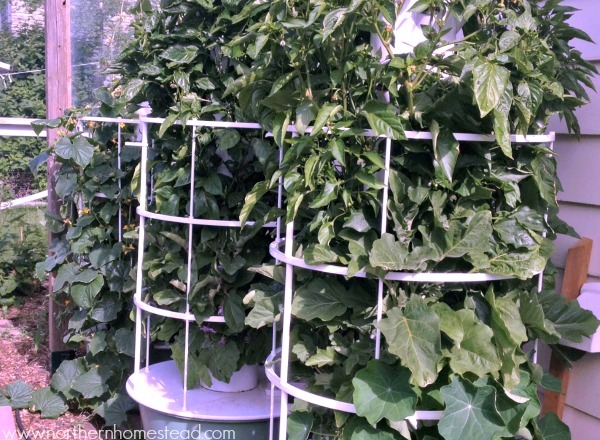 I could use a Tower Garden Dolly for a few other things out there in my garden! Those big glazed pots get heavier each year. I was thinking you could even hang a mirror to reflect the sun light on the tower. My husband is always talking about using a mirror, too. Great idea!